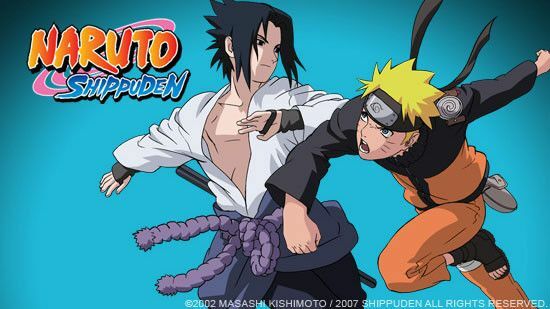 You are going to Watch Naruto Shippuden Episode 159 English dubbed online free episodes with HQ / high quality. Stream Anime Naruto Shippuden Episode 159 Online English dub Pain vs. Kakashi. Kakashi starts fighting the Deva Path, which is soon backed up by the cyborg-like Asura Path. When none of his attacks work, Kakashi uses a clone as a decoy to learn of the Deva Path’s powers of gravity-manipulation, allowing it to attract or repel any person, object or jutsu. After an eventual assist by Choza and his son, Choji Akimichi, who first destroy the Asura Path and then attack the Deva Path, Kakashi learns of a time delay of five seconds between Pain’s consecutive attacks. He sets up a trap with the Akimichis’ help, but a still-functioning Asura Path sacrifices itself to foil their efforts. Choza’s squad is soon wiped out by the Deva Path, who seemingly strikes a fatal blow on Kakashi before leaving. However, Kakashi survives using his Mangekyo Sharingan ability, Kamui. Using the last of his strength at the cost of his own life, saves Choji from Asura Path’s missile, by warping it away, giving Choji the chance to inform Tsunade about Pain’s powers. 4.8 / 5 - 80 ratings.